I need to complain. Wife needs to complain also. Weather pain. N J weather almost has us thinking about street medications. Never have had so much dampness & low pressure fronts. 1 or 2 days of low pain. Then weather has me making sharp yelps. Joints and fleshy areas. No pattern to it. Anyone else find a ??? safer pain reducer ? Glucosamine and Chondrotin/msm Complex relieve 90 % of the joint pain most of the time. But some weeks it does not work well. Got any friends in Colorado? I'm with you on this weather! I don't have any of the aches & pains but it sure does destroy ones morale! Thankful that my kids are so involved in sports that it keeps me busy and my mind off the weather! The past couple of months have been the worst I've seen in at least 15 years. In my area north of the snow belt line, we usually don't have lasting snow this early. Even though the temps are above freezing, the snow is still sticking. But what's worse, is the lack of sun shine. We are turning into "sub-city" of Seattle. Maybe 1 day per week we see some sun. My solar lamp outside only lasts about 3 hours before it shuts off. The other annoying effect with all this cloudiness is the night sky. I've been trying to catch the comet 46P/Wirtanen but its been cloudy at night for weeks. Last week I was about to head out to East Aurora to a spot that maybe dark enough to catch it but as I walked out the door, it became overcast. Last night, it was clear enough that I was able to spot it. It was just a smudge in the sky. These new low energy ultra bright parking lot lights are so darn bright they block the sky as much as a cloud does. There was a time when I could see the Milky Way galaxy without any binoculars. Now, only the very brightest can be seen, even with 25x100 binoculars. All because if these new lights. More annoying than an overcast layer of clouds. I still have a few years yet for painful joints. Mother nature will take care of that I'm sure. Won't a G&T help take care of that? I save the G & T as a reward for completing a task completely. I have a lot of 3/4 completed jobs. ! hour ago I suddenly felt no pain. So I did the house vacuum job. Doing the laundry also. I hope I feel O K to weed wack the beds & walks. double G & T . Then TV in the Lazy Boy for a cat nap. Power Nap ? Then TV in the Lazy Boy for a cat nap. Power Nap ? Did you watch that amazing Kansas City Chiefs / Chargers game last night? What a finish! I passed out and KC was up by 2 TDs. Get up this morning to see the highlights and Chargers win it by 1 on a 2-point conversion with 4 seconds left in the game. That was AWESOME because I hate the Chiefs. Not as much as the Giants, but close. Woke up to the mid western tractor pulls. I hear you on the Buffalo grey skies. Sunshine has been almost non-existent since about August. A lot of cloud cover. At least temps are up these next few days. Most of November and first half of December have been 15 to 20 degrees below normal. LOL! Been there done that too. Except I usually wake up to either a rodeo show, monster truck mania or inevitably "a new vacuum that beats all other vacuums" infomercial. I love the activist who focus on renewable energy. With our new fearless leader [Cortez-D-NY] and Green New Deal is hysterical. They love solar and wind. The answer to everything. But those idiots aren't paying attention. Just giving you propaganda. For example, here in Western New York, there has hardly been any sunshine. Its been months since we've had more than a day of sun. The results? All the road signage, construction or otherwise, that run on solar panels are all dead and inop. No sun, no charge. I laugh when I see this. This proves that solar power is not reliable enough to replace coal. Are their any posters here who live in the NW? I'm curious to know if you have solar powered signage out there? I assume that the NW US is pretty cloudy or is it just Seattle? Update Feb 02: We've had a couple of days of extraordinary sunshine. I noticed that the solar signs are back working again. Ain't that somethin'? The real advantage of solar is it makes power during peak daylight hours. Same with wind at junction of Lake Ontario and mouth of the St. Lawrence River. Wind starts at sunrise & drops at sundown. Both aid a lot with out massive Coal & storage of oil to run all day . Steam & turbine peakers are very wastefull below maximum power outputs. Efficiency around the clock NEEDS OCEAN TIDAL generation. That is right NEXT TO major cities & ports, airports and population centers. Major grids could be down sized all over the country. No way said the Koch brothers. Are their any posters here who live in the NW? I'm curious to know if you have solar powered signage out there? I assume that the NW US is pretty cloudy or is it just Seattle﻿? Back about 10 years ago or so, built a custom house that had a variety of heating and cooling options, from radiant to forced hot water to even interchangeable forced hot air. The owner wanted options to run the heating (not so much the cooling) and be able to find what's more efficient as well as rate it against effectiveness because the house was rather large. These were not average homeowners who were interested in saving money as the primary concern since they were quite wealthy. They were genuinely interested in efficiency because they were interested in the technology as well as being environmentally conscientious. So part of the design/build process was to run piping and chases for future use and we did that and they came in handy. After the 10 years went by, they contacted me to see if I could set them up with repowering the house using solar energy. And so I brought in my buddy who has his own co. and he designed a photovoltaic system for them and repowered the entire house. I have some pics somewhere I'll try to find them but it was a fascinating process and the best part is it works great and produces a surplus that goes back to the electric co.
Another architect I work with had a windmill put in his yard and his house was right on the beach in Gloucester MA, so there was no shortage of wind to power the blades and it also created a surplus of power. It's really amazing but the only drawback was the ugly appearance of a windmill in the yard. I have a new garage addition coming up and these homeowners are very interested in using solar roof shingles. 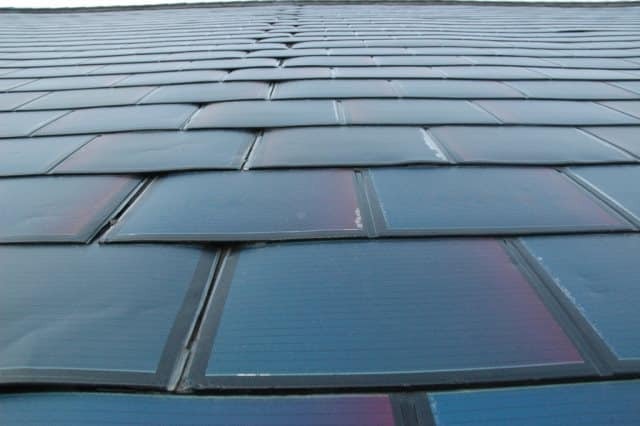 I just went over the new codes for photovoltaic shingles and the restrictions in MA etc. to figure out if this is a good option for them and will be presenting it to them in a few weeks. The goal is to separate the existing garage and new garage under its own, separate panel that will be powered off these photovoltaic shingles. Definitely a pretty cool thing. I would rather have ugly clean power than oil spills & exhaust fumes. If I have 3 months of continuous sunshine, and then the weather turns ugly and no sunshine for weeks how long does the supply last before returning to the grid to turn your lights on? With low sunshine or nights ? Instantly you are BUYING electric again. My aches LEFT as soon as that Arctic cold spot left N J . Feels so good to laugh again.